Whenever an editor has to wait and pause for an NLE-system to render, recover and respond creativity suffers. EDIUS Pro 9 on the other hand offers outstanding performance even with a standard notebook. 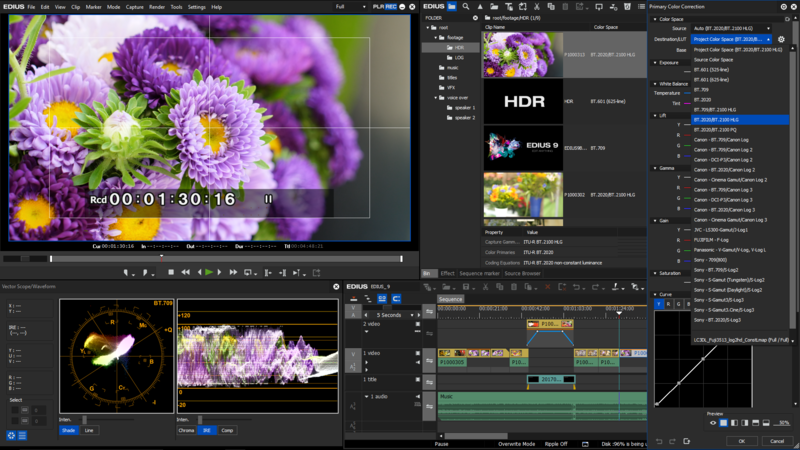 EDIUS Pro supports a multitude of formats and handles highest resolutions in real-time true to the slogan: “Edit Anything, Fast”. EDIUS Pro 9 is the perfect finishing tool for professional filmmaking including documentary and 4K-productions.